ODBC is an older standard then OLE DB. It is recommended to use a different data source type unless other data base drivers are not available. 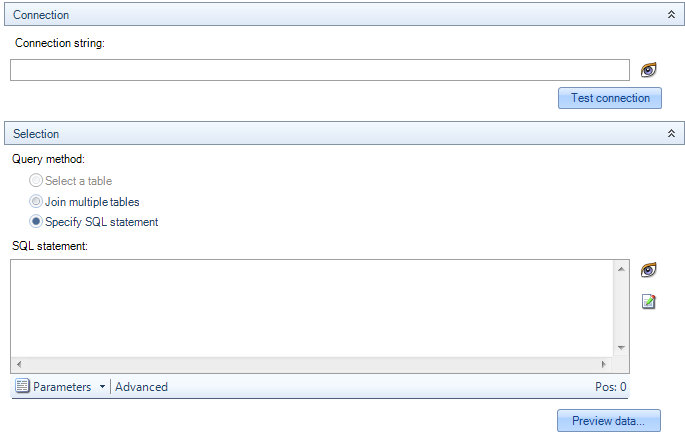 You can access any ODBC data source by selecting ODBC as the data source type and specifying a valid connection string. 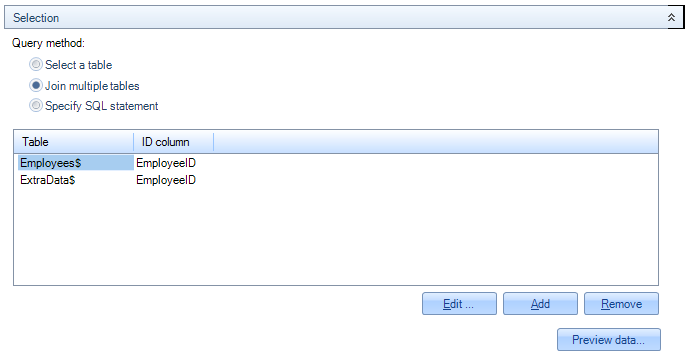 Specify an ODBC connection string used to identify an ODBC data source. 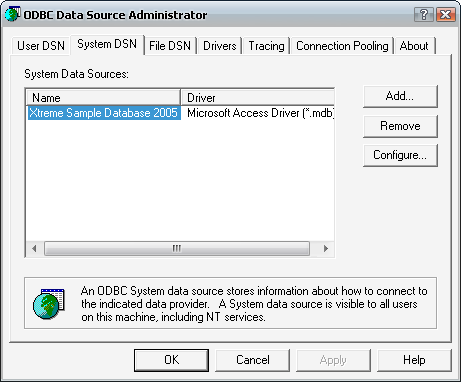 ODBC data sources can be defined through a Windows Control Panel (Control Panel > Administrative Tools > Data Sources (ODBC)). Refer to Windows help for more information on how to do this.